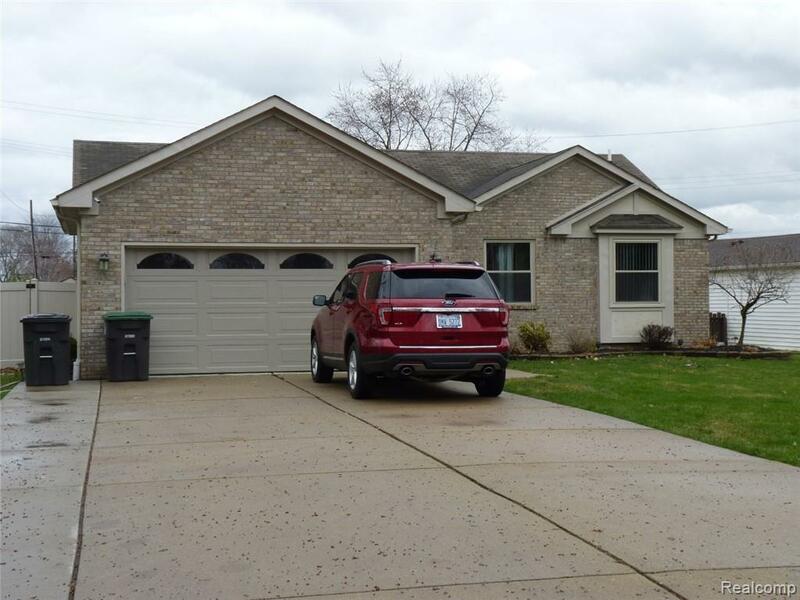 *Brick Ranch Built in 2000! *Sits on 1/2 Acre w/Two Garages! *1600sqft Includes All Season Sun Room w/Wood Burning Stove! *Attached 2-Car Garage is Insulated w/Drywall PLUS Another 2-Car Detached Garage AND Another Parking Pad... Bring Your RVs & Toys! *3 Bedrooms *15x12 Master has Door-wall to Deck & WIC *2 Remodeled Baths BOTH on the 1st Floor *A Walk-In Jetted Tub w/Shower *2nd Bath Has a Beautifully Remodeled Steam-Shower w/Glass Door *1st Flr Laundry *Stunning Kitchen *Granite Counters *Great Rm *2 Skylights & Cathedral Ceilings *Cozy Fireplace *HUGE Open Basement is Perfect for Finishing: High Ceilings & Glass Block Windows *Covered Patio & a Fabulous Deck *Driveway is Long & Extended on the Side *Indoor/Outdoor Bose Lifestyle 25 Speakers Stay! *Furnace/Central Air 3yrs New *All New Windows w/Cranks 3yrs New! *Sump Pump *Generator Stays! *Refrigerator, Stove, Washer & Dryer Stay! *NEW Dishwasher *Whole House/Attic Fan! *7 Flower Beds *CofO Done!